Yale School of Public Health has conducted a study which suggests that regular consumption of low-dose Aspirin can lead to the decreased chance of developing pancreatic cancer in adults. Researchers collected data from over 1,000 people for the study, some with pancreatic cancer and somewhat without. What they found was that taking low-dose aspirin could lower the risk of developing the cancer by up to 60 percent. Meanwhile, taking regular aspirin could reduce the risk by a whopping 73 percent. The team recruited the subjects from 30 general hospitals in Connecticut from 2005 to 2009. There was a total of 362 pancreatic cancer patients and 690 in the control group. The subjects were personally interviewed to determine the time they started to use aspirin, how long they used it, whether they used low or regular dose of aspirin, the time they stopped taking it, among others. The team also confounded factors such as body mass index, history of diabetes and smoking. Low dose is between 75mg and 325mg of aspirin taken once daily to prevent heart disease. Regular doses are considered high doses of aspirin often taken four times daily to relieve pain. Among the subjects, 96 percent of those who took low doses and 92 percent of those who took regular doses reported using the drug daily. Among the subjects, around 92 percent were non-Hispanic whites, 57 percent were males, around 49 percent were current or former smokers and 19 percents was diagnosed with diabetes in the last three years before the study. The researchers are not entirely sure why aspirin lowers the risk so greatly, but were not necessarily surprised by the information. Other forms of cancer have lowered development risk when taking aspirin. That includes lung, stomach, ovarian, and breast cancer. 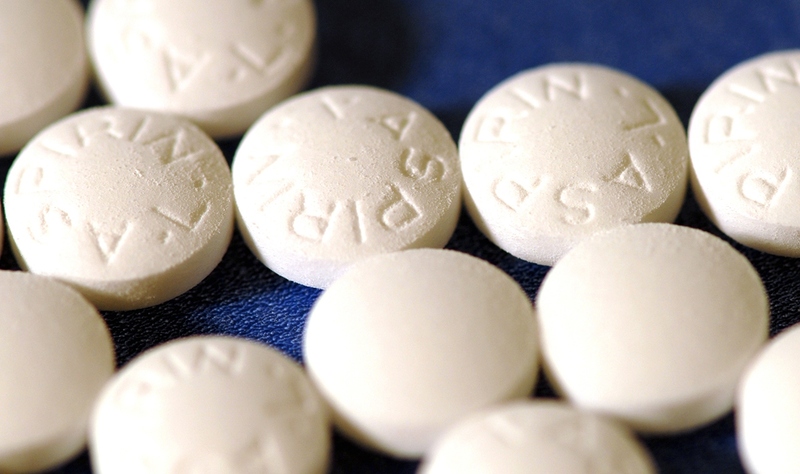 For people that are at high risk for developing pancreatic cancer, taking aspirin regularly can be a positive thing. However, it is always best to consult a doctor first, as aspirin can have adverse side effects. Pancreatic cancer is one of the most deadliest forms of cancer, with only around 6.7 percent of patients surviving more than five years after being diagnosed. The cancer is expected to claim around 40,000 lives by the end of the year. The study was published in Cancer Epidemiology, Biomarkers, & Prevention. There is growing interest that salicylate, the major metabolite of aspirin may be responsible for this chemopreventative effect. This derivative may be better tolerated at higher doses as well. Grammatical errors are so distracting. Your readers miss your point when you fail to proof your work. The last paragraph (if anyone read that far) is atrocious. Big deadline? clinton, as the previous posts suggest, you did not proof read your work very well. if a job isn’t worth doing right, then don’t do it at all. maybe you should have been sleeping at 4:55am instead of attempting to be a reporter? maybe clinton is a computer. if so, unplug it. and btw, fire clinton’s editor. “The most deadliest”? Anyone need remedial 3rd grade grammar? The title is incorrect. Low dose aspirin has a 60% risk reduction, full dose aspirin is 73%.